Do you have old school pictures or information you would like to share? 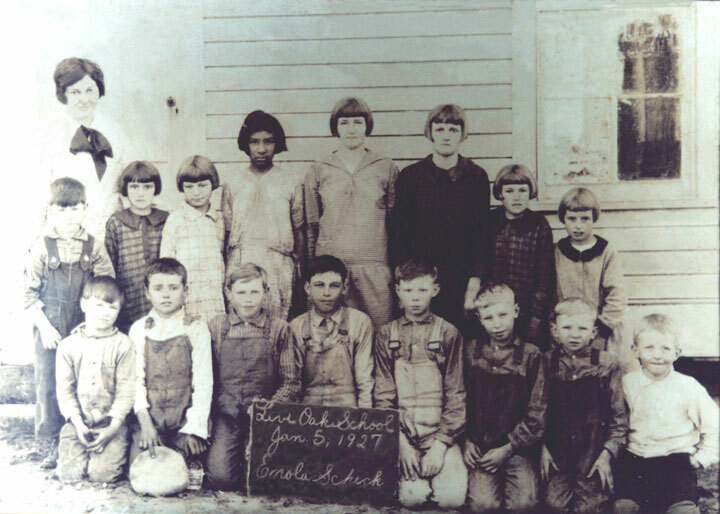 The Live Oak school, with a six-months session before it, will open next Monday, with Miss Ernestine Brooks as teacher. 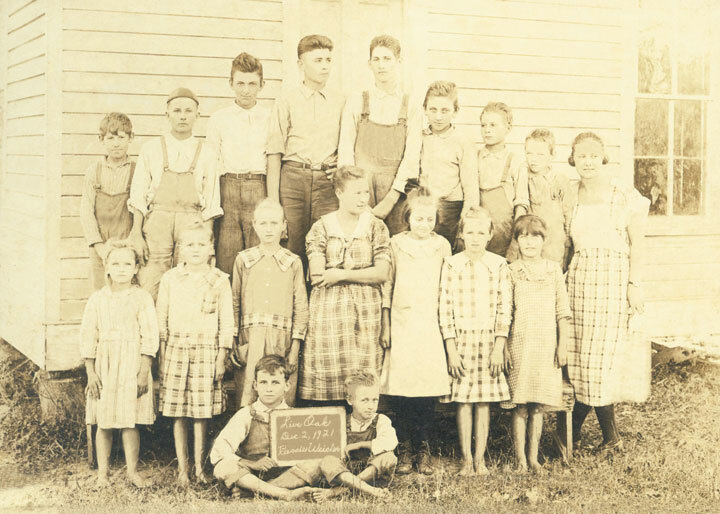 First person sitting is Elo Raabe; second and third person on front row standing are Annie Haas and Minnie Haas; fifth person on back row is Edgar Raabe; teacher is Bessie Weisler. Can you identify any of the other students? If so, please contact the county coordinator. The question of whether Live Oak, Borden, and Bois d' Arc districts will be annexed to Weimar Independent School District will be decided Tuesday, April 27, by qualified voters of those four districts. Eligible to vote at the Weimar box, which will be in the City Hall, are residents of the entire Weimar district, which includes the people of New Brunn, Oak Grove, St. Paul, New Bielau, Harmony and County Line. All of these districts have been recently annexed to Weimar, which makes their residents eligible to vote on any question affecting the Weimar district. Borden residents will vote at the Borden schoolhouse; and Bois d' Arc residents will vote at the Bois d' Are schoolhouse. A heavy vote is expected in the election, especially from the rural districts. The question has excited much interest in the four districts involved. Proponents of the annexation, who admit that their greatest problem is not convincing the voters of the desirability of the annexation but getting the people to go to the polls and cast their votes, say that by annexing these small districts a better school system for the entire area can be formed to replace the inadequate facilities which most rural schools now offer. Rural children, they contend, are entitled to as good an education as the town children, and the merging of these small districts with the Weimar district is the way to provide that equality.